The incident needs to be seen in the context of Uttar Pradesh chief minister Adityanath's unambiguous and unconstitutional instructions to the police to shoot ‘criminals’ dead. Uttar Pradesh chief minister Adityanath and his government have acted quickly in the Apple executive Vivek Tiwari’s ‘encounter’ death to control any political damage before it was too late. In fact, the moment news spread on social and electronic media, the chief minister declared that it was not an ‘encounter’ and the guilty cops would be punished. In conceding to the demands of Tiwari’s widow – of meeting him, a compensation package and punishment to the guilty – Adityanath has tried to nip the source of growing discontent in the bud. However, on social media, questions are being floated to discredit Tiwari. What was he doing with a female colleague/friend? Why did he try to run over the constables thrice, as claimed? He left the constables without any other option, and so on. According to Sana Khan, his colleague and an eye witness, the police asked Tiwari to stop, but as he was concerned for Khan’s safety, he did not halt. “One constable hit the vehicle with lathi…. The other rode ahead, parked his bike on the middle of the road, got down and signaled us to stop. Our car was still moving slowly. Suddenly, the constable took out his revolver and shot sir (Tiwari).” She said since the accused constable had parked his motorcycle in the middle of the road, Tiwari’s car had brushed the front wheel of the bike in trying to avoid hitting it. The cop’s defence is that he took the pistol out to scare Tiwari. Either he fired it on purpose or the gun accidentally fired. The likelihood of the gun’s recoil making the aim going haywire should also be considered. A video footage of the incident put out by Mirror Now on October 1 shows that Tiwari’s vehicle was moving at a moderate speed and the accused cops were following him. The road where the incident happened is a 25 feet high elevated section passing through an area that has VIP houses on both the sides. That perhaps explains over-enthusiasm of the two constables leading to the tragedy. In the meantime, the UP government has constituted a Special Investigating Team. On October 2, it attempted to recreate the scene of the tragedy with the cooperation of Sana Khan. Its report is awaited. The senior superintendent of police defended his men, saying, “The constable (Prashant) fired in self-defence believing that some criminals were inside the car as the victim tried to flee after hitting the patrol bike.” So did his colleagues, who circulated a video to express support. This incident also deserves to be put in the perspective of Adityanath’s unambiguous and unconstitutional instructions to the police to shoot ‘criminals’ dead (‘Aparadhiyon ko thok diya jayega’). In an episode of TV show Aap Ki Adalat on India TV, he said that since he ordered the closure of illegal abattoirs, those who got unemployed have taken to crime. Since most, if not all, such abattoirs were run by Muslims, his statement had an ominous connotation. The official data of those killed in encounters does not mention their caste and community, but it does show a marked increase in both encounters and killings. According to information released by the UP police, there were 1,142 police encounters in the state between March 20, 2017 and January 31, 2018. The National Human Rights Commission (NHRC) has also taken cognizance of the complaints of the families of the encounter victims and sent a notice to the UP government in November 2017 over Adityanath’s alleged endorsement of encounter killings in the state. The CM had said, “We will make life difficult for criminals. They will have only two places to go: either they will be sent to jail, or they will be killed in police encounters.” Cases of police showing brazen power in using fire arms have come to light since. In making an arrest the police officer or other person making the same shall actually touch or confine the body of the person to be arrested, unless there be a submission to the custody by word or action. If such person forcibly resists the endeavor to arrest him, or attempts to evade the arrest, such police officer or other person may use all means necessary to effect the arrest. Nothing in this section gives a right to cause the death of a person who is not accused of an offence punishable with death or with imprisonment for life. Sections 99 and 100 of the Indian Penal Code read together are the other relevant legal instruments amplifying the limits to private defence to public officials in discharge of their duties as well as to any individual within the territory of India – under Section 99 ‘no right of private defence against an act which does not reasonably cause the apprehension of death or of grievous hurt’; ‘no right of private defence against an act which does not reasonably cause the apprehension of death or of grievous hurt’; ‘the right to private defence in no case extends to the inflicting of more harm than it is necessary to inflict for the purpose of defence’. These do not empower the police to conduct an ‘encounter’. Dictionary meaning of encounter is ‘unexpected meeting’ or ‘meeting in conflict’. In both the cases, an ‘unexpected’ circumstance is emphasised, which discounts a pre-planned armed attack on the part of the police. Further, any use of fire arms by police in such a case would be in self-defence and within the limits of the IPC sections described above. Indeed, given increasing complexity and intensity of policing in India, the police have to be prepared with weapons in trying to apprehend certain kinds of history-sheeters, but whether they should attack them to injure or kill as a matter of policy, would at best be described as a gray area, as this is neither sanctioned by the constitution, nor by the prevailing legal regime. We would do well to exclude dealings with an armed gang of dacoits, terrorists and insurgents, including the Maoists, who are heavily armed. Police have to accordingly strategise an armed confrontation with them. 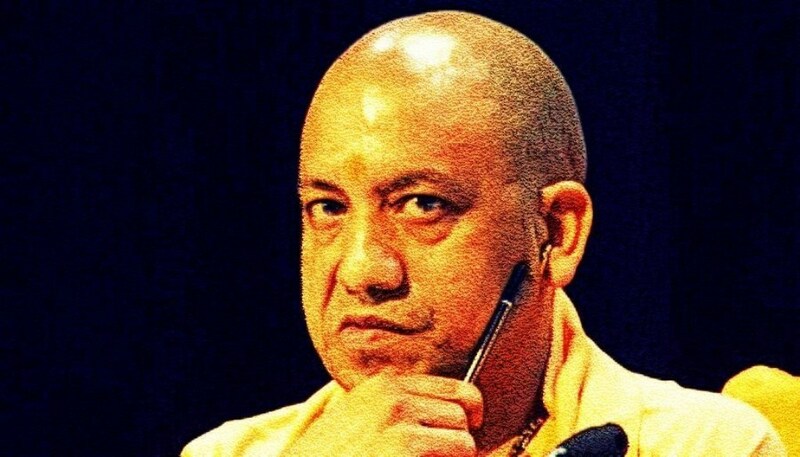 Obviously, to that extent both the order, we do not know if there is a written one, and public pronouncement of Adityanath are illegal as well as unconstitutional. When the police begin operating on such an unconstitutional order laden with political overtones, both misuse and overenthusiasm are normal consequences. The discourse on police encounters in India goes back to the 1980s and 1990s. In the counter-terrorism operations in Punjab, which had become contentious in the light of techniques employed by then director general of police K.P.S. Gill as well as concerted attack by the Greyhound, the anti-Maoist police created by the Andhra Pradesh government. When the police begin operating on such an unconstitutional order laden with political overtones, both misuse and overenthusiasm are normal consequences. Despite both cases dealing with armed and guerrilla groups, the issue of human rights was raised, pointing to a large collateral zone emerging in the operations of the security forces, leading to deaths of innocent people. At least prima facie we find substance in the allegation of the petitioner that there is a general pattern in these FIRs. We make it clear that that this Court is not oblivious to the difficulties faced by the police in tackling organised crime with has taken root in the society…. But all this cannot justify police resorting to extra judicial methods. As observed by the Supreme Court in D.K. Basu v. State of W.B., “cure cannot be worse than the disease itself”. In later cases such as the Andhra Pradesh Civil Liberties Committee and the appeal against this judgment in the Supreme Court, the judiciary showed empathy towards the tough choices police have to make in difficult cases of dealing with armed gangs and groups and ruled out registering of FIR. The Andhra Pradesh high court, for example, directed that a FIR be filed against police personnel involved in encounter killings shall only be registered if a specific complaint is made alleging that an identified individual has caused the death. When Rajinder Sachar argued the appeal of the APCLC in the apex court, the CJI said, “We can’t fully endorse the judgment. Since serious directions are issued, we will have to examine them. If we have to accept what you say then all police officers involved in the Mumbai terrorist attack of November 26, 2008 should face criminal cases.” The judiciary clearly has been torn between the difficulties of police work and right to life and liberty of individuals guaranteed by the constitution. The NHRC framed guidelines on encounter deaths on March 29, 1997, which were revised on December 2, 2003. The guidelines make it mandatory to make appropriate registration of an FIR in case of a police encounter, handing over the investigation to an independent agency, registration of an FIR against an officer on complaint, magisterial inquiry, prompt prosecution of and disciplinary action against the accused, compensation to the dependents of the person, no out-of-turn promotion and gallantry award soon after the occurrence and a six-monthly report to be sent by the director general of police to the NHRC on January 15 and July 15 every year. Indeed, special cases such as these as well as in the insurgency-hit Northeast make it difficult to balance the policing needs and human rights. But ‘encounter’ as part of normal policing practice and behaviour create a violent organisational culture result in unfortunate incident such as that of Jitendra Yadav, who lies paralysed since February 2018, when he was shot at by a cop in Noida, and Vivek Tiwari. While it looks like the CM has settled the Tiwari case, expectedly and ominously, the rank and file of the UP police are agitated and the constables have decided to protest Prashant Choudhary’s suspension, even as a cop supporting him on the social media has also been suspended. We can only hope that there is no re-run of 1979 police agitations. It is a tough time for Adityanath, but he as much as the UP police, needs to introspect on this avoidable policing strategy and the resulting tragedies. Ajay K. Mehra is the principal of Shaheed Bhagat Singh Evening College, University of Delhi.